Mr. Javed Nazar informed Sada-e-Watan that Another upcoming classical event by Koocha-e-Saqafat Australia on Saturday Evening of 22nd April 2017 at Rockdale Town Hall Sydney presented by renowned artists and media giants. Qavi Khan is a Pakistani film and television actor. He has also worked in Radio Pakistan and on stage. One of the veterans of the Pakistani media industry, Qavi Khan has acted in over 200 movies and has performed in countless different TV roles. 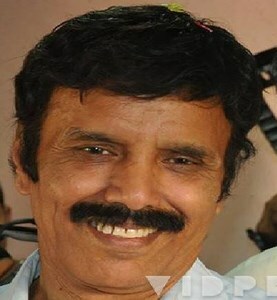 He is a living legend and has enjoyed success on almost all levels. Since the Pakistani Hollywood industry faltered, Qavi stopped working in movies and took over television roles. He had received Sitara-e-Imtiaz award in 2012 and Pride of Performance award in 1980. 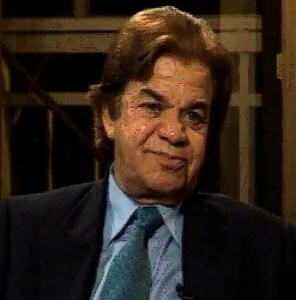 Qazi Wajid is a very famous Pakistani actor. 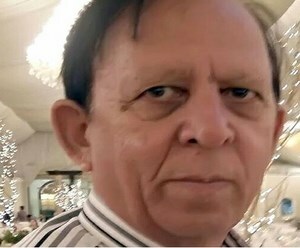 His fame is completely justified as well, as he has served in the Pakistani show business industry for the past 48 years. Qazi initially began as a radio presenter for Radio Pakistan, but after a stint of 25 years, he retired and started acting full time.Qazi Wajid has performed in popular dramas such as Khuda Ki Basti and Hawwa Ki Beti. He began his career in 1956. Qazi Wajid works in drama serials and as a multinational artist, frequently in the US. His notable works include Khuda Ki Basti, Hawwa Ki Beti, pagal, Tanhaiyaan, Pal Do Pal, Kiran Kahani, Nangay Paon, Shama, Sotayli, Mehndi,Khala Khairan and Doraha. 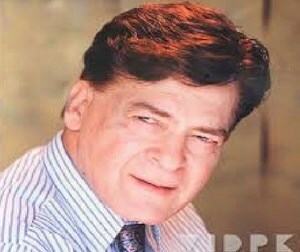 Behroze Sabzwari began his career from Radio Pakistan as a Radio presenter, In the late 1970s, he started his acting career by starring in a "live" television children's play Dadajan Nanajan. Behroze has appeared in a number of television commercials. He has also done many stage plays, including Mirza Ghalib Bandar Road Par. Mirza Ghalib Bandar Road Par was the famous play of Khawaja Moinuddin. This play was the earliest of Behroze's plays and introduced him to the TV viewers throughout Pakistan in early seventies. However, he achieved fame through the PTV play Khuda Ki Basti, in 1974 where he played the role of Nausha. 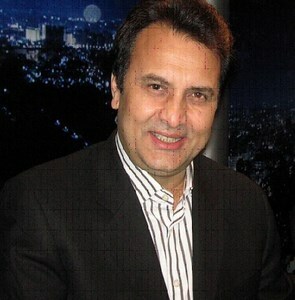 Behroze Sabzwari received the Pride of Performance on 23 March 2009 for his services to the Pakistani television industry for more than 40 years. Shahzad Raza is a popular Pakistani comedian and actor. He has starred in various different dramas such as Man o Salwa and Nikah 9 Baje Talaq 10 Baje, Bohot Kha Lia, Hamsafar, Dehleez and different comedy shows with Moin Akhtar and Anwar Maqsood. He started comedy from stage shows, in which he often starred with popular Pakistani comedian Umar Sharif. He has also worked with Liaquat Soldier, a very popular Pakistani comedian. Ayaz Khan has been one of the most prominent stand up comedians and comic actors Pakistan has produced. With an experience of more than three decades in the entertainment media, Ayaz Khan is a veteran who has a large number of performances and shows under his belt, proving his mettle in everything he did. Ayaz got his breakthrough with the Pakistan Television (PTV) drama serial 'Khwab Suhanay' and from there onwards, he worked in a number of popular plays such as 'Seerhiyan', 'Jangloos', 'Khush Naseebi Ka Darwaza', 'Aadha Chehra', 'Aag Aur Pani' and 'Baarh'. He has also been a part of popular comedy stage shows such as 'Studio 2 1/2', 'Commercial Time' and 'Face To Face'. Javed Rizvi started acting as a young artist for Young Folks Leagues in the Drama, Laaparwah. As a child artist, he had worked in several famous dramas such as Phareb, tere Bache Tere Bale and Jaag Utha hai Watan. He has also been working in theaters and has been part of Kaanch ki Gudiya, Nawab Sahab Qibla and Adhi Baat. Marat Ul Uruus, Gali No 85 and Jaal are some of his Tele films.